In 1633, the ‘father of modern physics,’ Galileo Galilei was found to be “vehemently suspect of heresy,” as the Roman Catholic Inquisition ordered the scientist to relinquish his alliance to heliocentricism – the theory that the Earth moves around the Sun. Under the watchful eyes of his Roman adjudicators, Galilei did recant. Regardless, the benches of the court were not appeased by his heretical and invidious theories, most explicitly outlined in the Dialogue Concerning the Two Chief World Systems, and he spent the rest of his life under house arrest, until his death in 1642. Galileo’s oppressors may have succeeded in resigning the man to the confines of a Florentine reformatory, but they had not extinguished his devotion to the pursuit of astrological truth. On being transferred to his new prison, he is believed to have uttered the now timeless words “and yet it moves,” (E pur si muove), under his breath. Not long after Galileo died, a Spanish painter, believed to be Bartolomé Esteban Murillo, decided to include the infamous expression on a depiction of Galileo incarcerated in his prison cell. In 1911, the painting was acquired by Jules van Belle of Roeselare, Belgium. Since that time, however, it has vanished from sight. Today, Galileo marks the pages of Europe’s encyclopedia in a much more extraterrestrial nature. 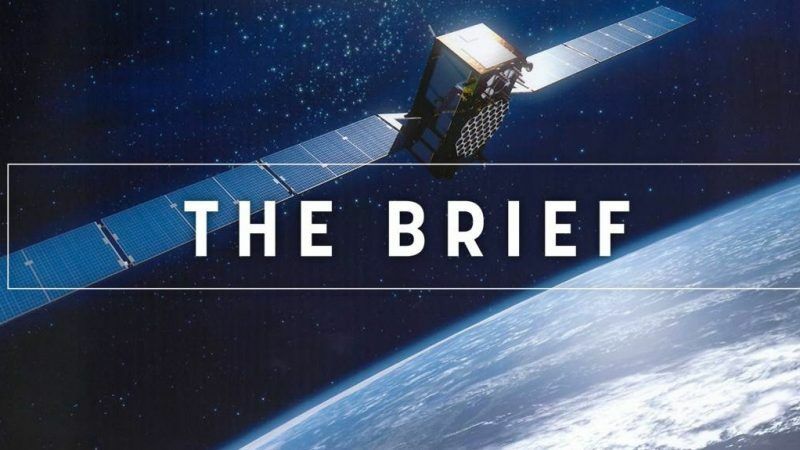 The modern ‘Galileo’ is the name for Europe’s Global Navigation Satellite System, widely touted as a major player in the US GPS, China BaiDou and Russia GLONASS tribrid. Galileo has been operational since 2016, offering localisation and timing services to approximately 400 million users. Galileo has grand aspirations. By the end of 2020, the hope is that the system will reach full operational capacity, attempting to obtain a record precision rate of 20cm. If Galileo were to meet this target, it would become the most precise satellite navigation system in the world. The EURACTIV offices recently played host to a high-level group of experts who came together to discuss the future potential of the Galileo system. Meanwhile, Alessandro Coda, chief technology officer at the European Association of Automotive Supplies told EURACTIV that Galileo’s 2020 targets will help to substantiate a broader claim for Europe to become the home of autonomous driving, and could also revolutionise the motoring industry. With the Galileo operation set to be complete by the end of the decade, the system could transform an array of technologies and services, such as rescue searches, smart watches, farming, and plane navigation systems, utilizing satellites in ways that the most prominent scientists of yesteryear could never have foreseen. In 1992, before the Pontifical Academy of Sciences in Rome, Pope John Paul II officially declared Galileo’s (the physicist) verisimilitude, thereby admitting the Church’s error in imprisoning him. As for the Galileo satellite system, an apology it may not quite be, but Europe’s demonization of the great physicist and the collective guilt that subsequently followed may have just resulted in one of the greatest technological developments in the history of our continent. It is that time of the year again: G20 leaders gather for their annual meet-up, this time in Argentina. US President Trump has shaken up the summit before landing in Buenos Aires, cancelling a scheduled meeting with Russia’s Vladimir Putin and bragging about tariffs imposed on China. While some made the headlines for their clothes or were overheard in polite rebukes, others where way too happy to see each other. German Chancellor Angela Merkel on the other hand had an unpleasant start and was forced to switch planes half way over the Atlantic. The Ukraine conflict is not in Russia’s interest, long-serving Russian ambassador to the EU, Vladimir Chizhov, told EURACTIV. Meanwhile, tensions in the Asov Sea continue. Cyberattacks on communication networks and critical infrastructures have also become an increasing military threat. NATO’s biggest cyber defence exercise held in Estonia this week aims to prep its cyber warriors for zero-hour. In a landmark move, the UK intelligence services unveiled the process by which they decide to disclose security vulnerabilities to technology firms. Although Italy is one step closer to an EU budget procedure, the country’s deputy PM said he is confident about the continuing talks. We won’t be blackmailed by May’s ‘no deal’ threat, Scotland’s External Relations Minister Fiona Hyslop told EURACTIV. As the European Commission unveiled its long-term vision for greenhouse gas reduction, a yellow cloud hung over the grand pronouncements. Arriving in Brussels, the protest did not stay peaceful and caused some more fuel-related incidents. Watch this week’s edition of Tweets of the Week, with Brexit fatigue setting in swiftly, climate targeting net-zero by 2050, and no show Zuckerberg looking incredibly shifty. Speaking of, the EU’s Commissioner for climate action and energy had an unpleasant message for the gas industry when he presented the European Commission’s 2050 vision for a “climate neutral” economy earlier this week. The G20 leaders’ summit continues in Buenos Aires, will arguably be the most complicated gathering since the most powerful nations started to meet in 2008.